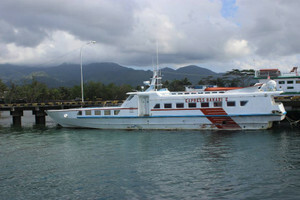 But the boat rent to Sebesi usd 320 (one way) is too expensive. HOPE  we can do it. 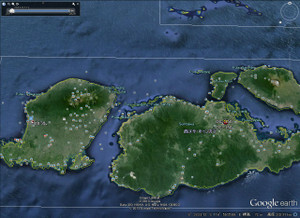 this Island (Waigeo Island - Raja Ampat Group OC239) especialy Shu-san and. JA Friend. 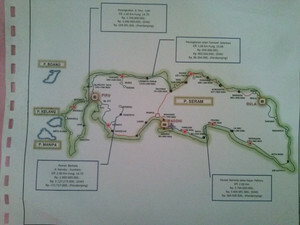 Raja ampat is a nice place for domectic and foreign tourist. 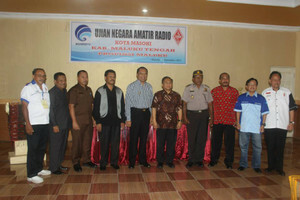 Raja Ampat have a big Event. Many forign poeple sign for joint this right now.. If you permit, I'd like to pull on my Blog for this nice information. 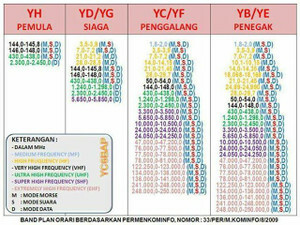 nd 15m use homecall and ssb only. 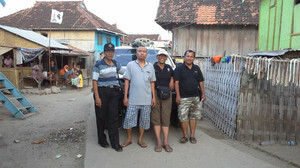 >Probably Lucky YD9RQX with be joint us.. Thanks for the nice information from YB-land, Joppy-san! But Lucky says on his QRZ.com "via W2FB". Why? I don't know. 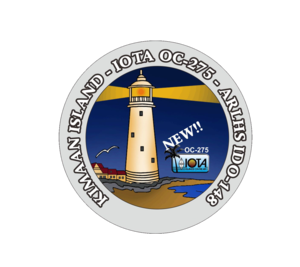 Congratulations for your OC-275 IOTA DXpeditions! Do you come back to Jakarta? Wow, big datas. Your OC-275 operation is success! Thank you very much for your nice information. Arigatou-gozaimasu. Your signal was very strong on 14150 but 21MHz was not strong from here. Shuji Yamamoto Wow! Which year do you QRV on 2012 or 2013? Shuji Yamamoto Hi Joppy, It's great news! May I announce this information on my Blog? 四十物 英晴 Hi Joppy? YD8VRA will join you? Oh my god. I will leave my home on your QRV from there. GL! 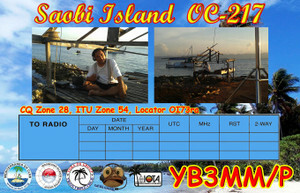 Shuji Yamamoto OC-070 YB8XM/P QSL via YB9BU. Is that OK? 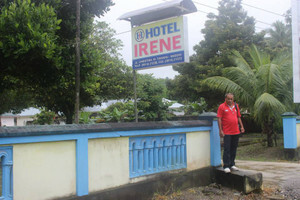 Me and Anton can't joint on YE5R but many guy's from North abd South Sumatera will joint there. 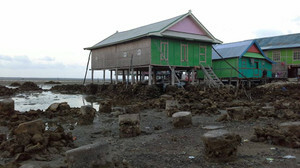 If my wife condition ok, i will try from pulau Jemur first. 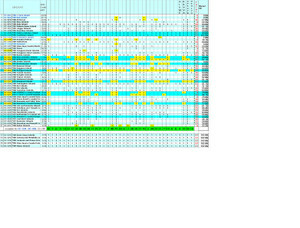 Many thanks for the validation material for your operation from OC-217. Everything is OK and we have added the operation to those accepted for IOTA. Congratulations. Glad you received the card OK. Thank's for you support for YB8S operation. 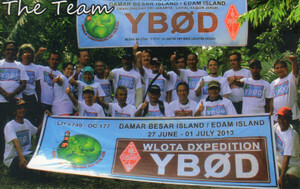 Many thanks for the validation material for your YB8S operation from OC-236. Everything is OK and we have added the operation to those accepted for IOTA. 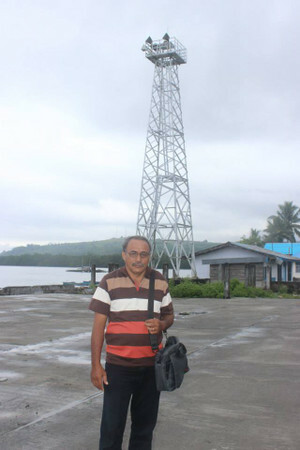 4251 QSOs is a great score, congratulations. It was a pleasure to make contact with you. Lucky is having some problem with his coax, so he was not on the air yesterday. He told me that he will use W2FB as manager and I will have his log upon his return. 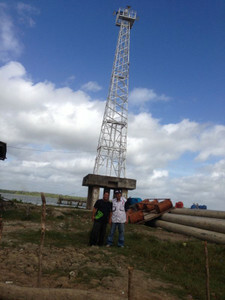 So please work him and send your qsl to W2FB, he needs your QSL so he can upgrade to the next class (YC). Unfortunately he does not do CW. This morning YB0AI/9 is handling the 40M ssb again. Hopefully once the coaxial issue is resolved YD9RQX can be the main 40M SSB operator. It will be nice if YB0AI does some CW as well. Just made QSO with Budi YF1AR/9 on 15m, and he told me they now have electricity 24 hours a day, during the day they use generator. On day 2, They have made over 1000 QSOs already and I think he said only needing Africa, so EA8 and ZS or other AF stns please call them. the team started early which caught many of us by surprise, a pleasant one. First of all, the team was assembled in a very very short time. Some of the more seasoned operators for one reason or another could not go namely: YB3MM, YB8XM, YB9WZJ and YB4IR. So in the end only 3 operators went. YD9RQX a newcomer, novice license, only SSB on 40 and 80 and CW on 10,15,20,40,80M, but I am not sure he does CW either. The group solicited internally within YB land and maybe to other dx groups, but yes most of the expenses are out of their pockets. LIMITED POWER on the island, only available during night time and so I doubt that we will see reports of on air activity during the day, Papua is two hours ahead of Jakarta. YF1AR has to limit power to 50W. Point your beam to P2 instead of YB, it makes a difference. Finally, regarding QSL, I asked YB0AI if he wants to use USA manager, I can help and he wanted to handle his own. YF1AR already has a manager N2OO. YD9RQX might end up using W2FB, but I will wait until he comes back. No cell phone reception on the island. 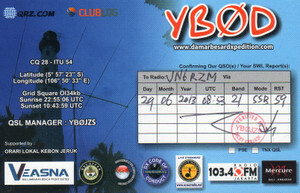 So hold on before sending your QSL and try to work YF1AR or YD9RQX, although this morning I ended up working YB0AI/9 on 40m SSB with lots of noise and QRM. Then I heard him on 14.260 conversing in Indonesian, then took one call K0AP (congrats Dragan), then he went QRT. If you miss this one, do not worry, next year, a large scale operation is planned with the same group which will activate YB9Y and activated YB8Y last year. 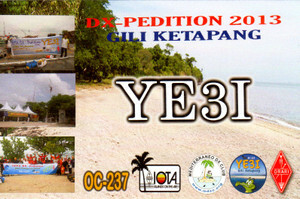 This group has been dubbed the one million dxpedition, by local YB ops because of its large budget. 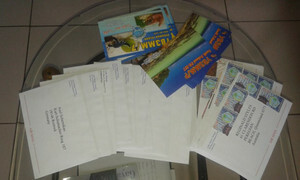 SO I guess work as many as you can, and then decide later on the QSL. 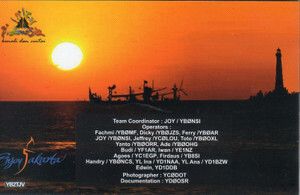 Regarding YD9RQX/P, Please send QSL card. 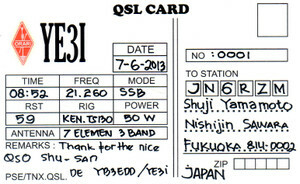 If I end up becoming his manager, I will not do OQRS on this one, since he needs QSL cards to upgrade to the next level. 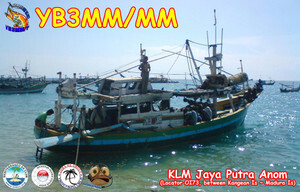 So I want to get as many cards as possible from as many countries as possible for him so he can upgrade (it is one of the requirements, to show QSL cards from all Indonesian call areas and from DX at least 25 countries, I think). 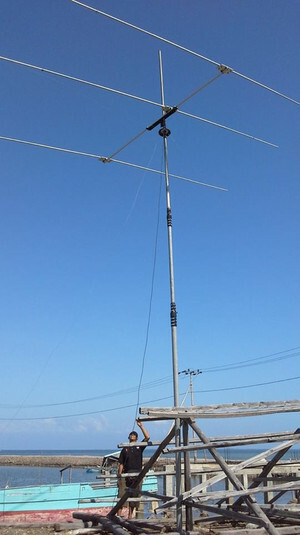 For DXpedition, like this past YB8P, I have done OQRS because I really do not need the cards, the operators are not interested in the cards, no award will be applied. I will start working on this list immediately. OC-168 will not be validated as we previous discussed the reasons. Very sorry for this. I do not have the H40IOTA cards yet. I do not expect them for about 2 weeks. I will wait until I have them to mail these cards. We are all awaiting anxiously this all time new one. Well, three operators YB0AI, YF1AR, and YD9RQX have arrived in Merauke, in the southern tip of Papua. They will spend the night there and fly to the island tomorrow. If all goes well, they will start on time September 10, 2013. I do not know if they will have a single design card or different ones. Please if you work one or two is enough, let someone else get a chance to work this new one. You need not work all three operators. 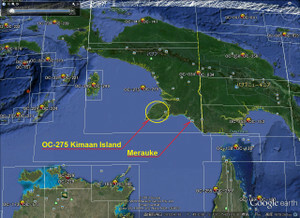 OC262 He plans on operating from Sebesi Island (new point for Nusantara Indonesian Islands Award). THe last time 262 was active as YE5A Pulau Pisang. OC186 Karimunjawa He plans to operate from a different island in the same group :Pulau Menjangan Besar. Earlier this year he was there but only made a hundred or so QSO with JA and EU. 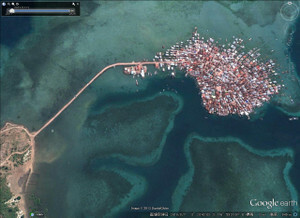 I will relay to Adhi, or maybe he will read this forum himself. 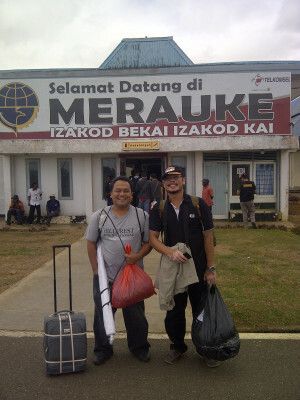 hopefully to Banda OC157 and Masalembu OC250. 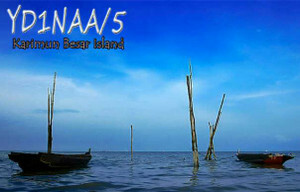 Ina YD1NAA will be in Tanjung Balai Karimun on the Karimun Besar Island OC075 for two months during work assignment. She will bring her rig and antenna and plans to be on mostly CW. She holds a novice license (YD) so she can only do CW on 15 and 10 I think, and CW and SSB on 40 and 80M. She is a great YL CW operator. 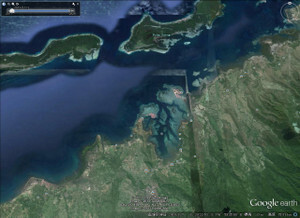 Hopefully she will find time to operate and activate this different island in OC075 for Nusantara Indonesian Islands Award. 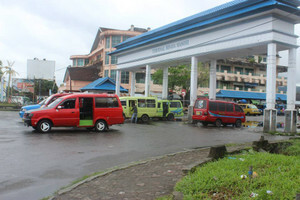 Most operation from OC075 have been from Batam or Bintan Island. 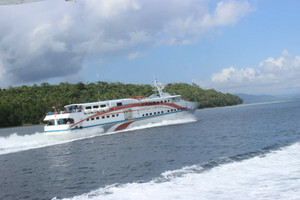 Adhi has left Saobi Kecil Island. 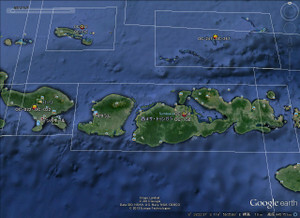 He operated from Saobi Kecil Island in the Kangean Islands group. 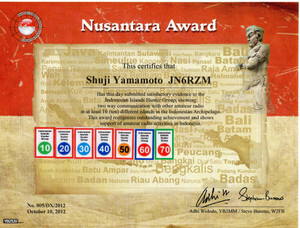 It counts for Kangean but for Indonesian Island Nusantara Award, it counts for a separate point. Adhi told me that he was planning on operating from Kangean (Saobi Besar Island) but en route to Kangean he had a conversation with a man on the small ferry and he was the head of the local village at Saobi Kecil and he convinced Adhi to operate from his village as his guest. The head of the village took care of all the logistics while Adhi was there. Electricity was available between 6pm and 5 am local time. 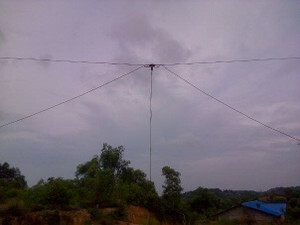 During daytime he used low power generator and was operating QRP 5 W to conserve power. Adhi used 3 el monoband Yagi for 15 M and 2 el monoband for 20 M. I will post photos in the album section. 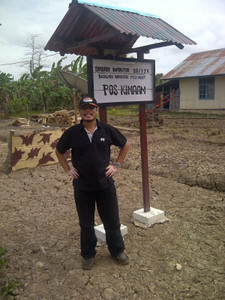 He is now on Saobi Besar aka Kangean Island. 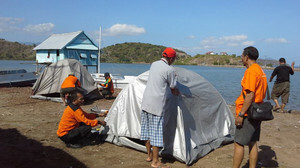 The boat back to Madura was cancelled so he is stranded until Monday evening. 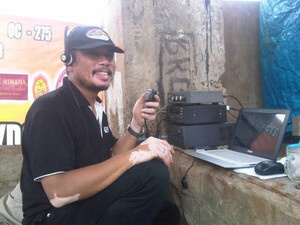 He is not sure if he can QRV from Saobi Besar (Kangean) since he did not make prior arrangement. 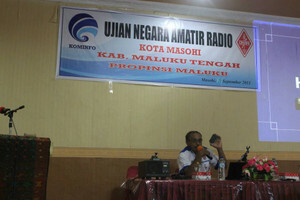 Hopefully we hear him on the air if not he will leave the island on Monday evening local time back to Madura and drive to Java. He is very tired but I told him that he made a lot of people happy working a new IOTA counter. Thank you Adhi, have a safe trip home. 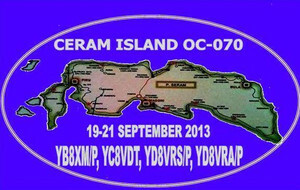 Thank you for activating OC217 and new counter for Nusantara Award, Saobi Kecil Island. PS: I also will post pictures sent by Kadek YB9BU from Gangga. 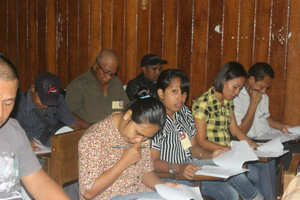 Kadek reported several periods of strong winds on the island, and the team went QRX. 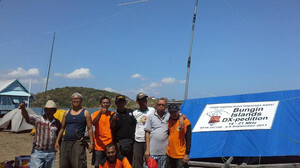 There are many operators, some are new to island dxpedition, but this is one of the objectives of this expedition is to train new operators. 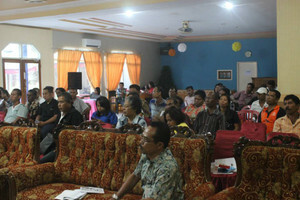 Gangga island counts for OC236 but a separate counter for Nusantara Award. Thank you Kadek and the team. We all appreciate your effort.